I love the Autumn, when the leaves start to fall, and the nights start to draw in. 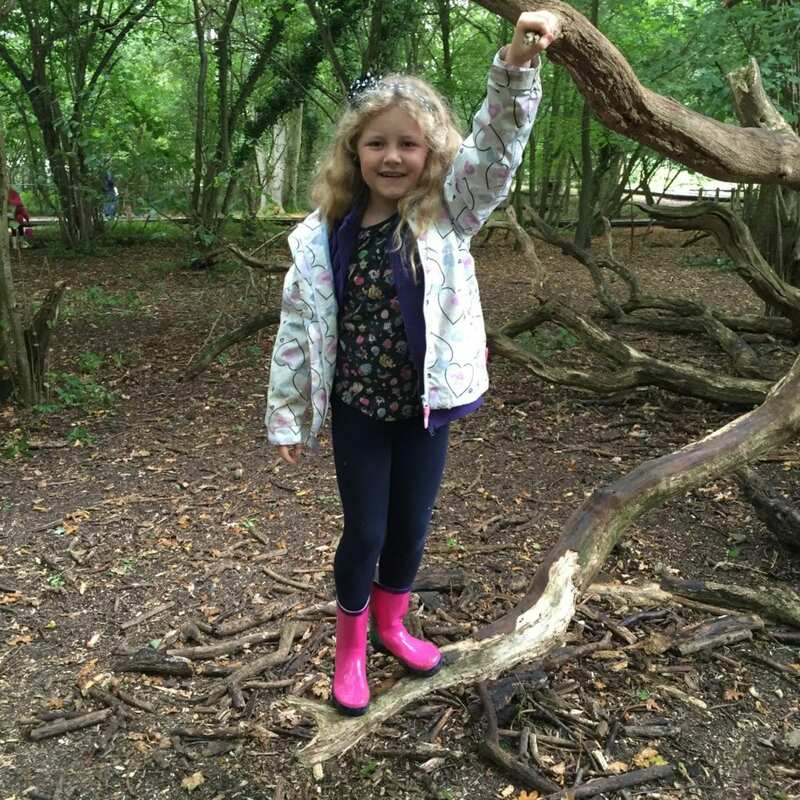 We love getting outdoors, and just because the weather isn’t as good, it doesn’t put us off! 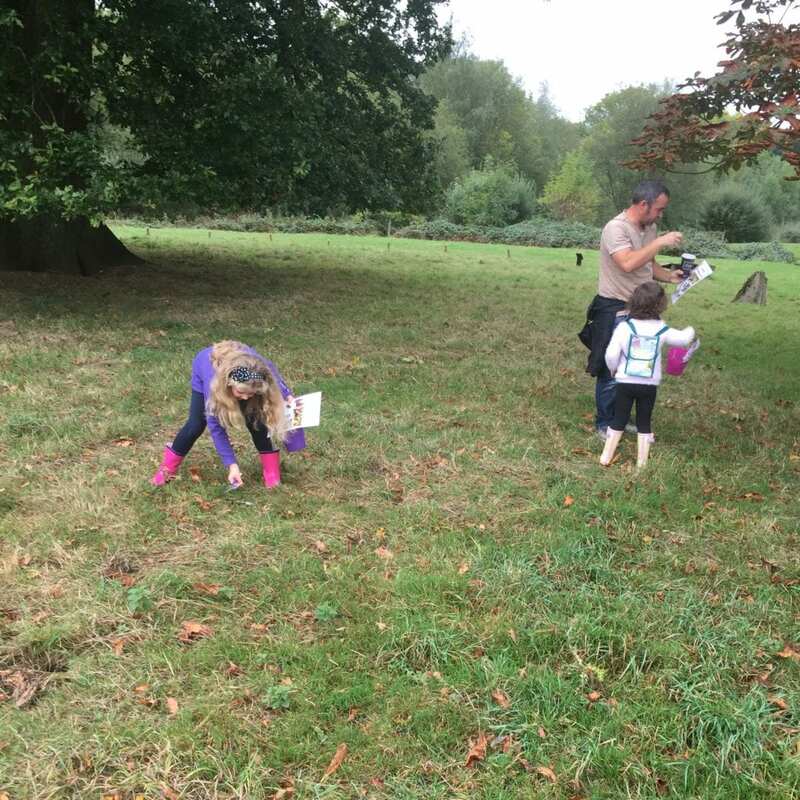 You cant beat a good Autumn Scavenger Hunt, and what better time to do it when there are loads of acorns, conkers and other treasures to find! 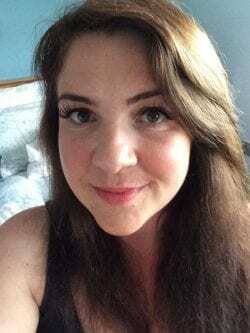 I’ve included a FREE printable in this post, so if you want to give it a go yourself you can simply print one off and you’re all set. The first time we did this we headed off to Hatfield Forest, which is only 20 minutes drive. 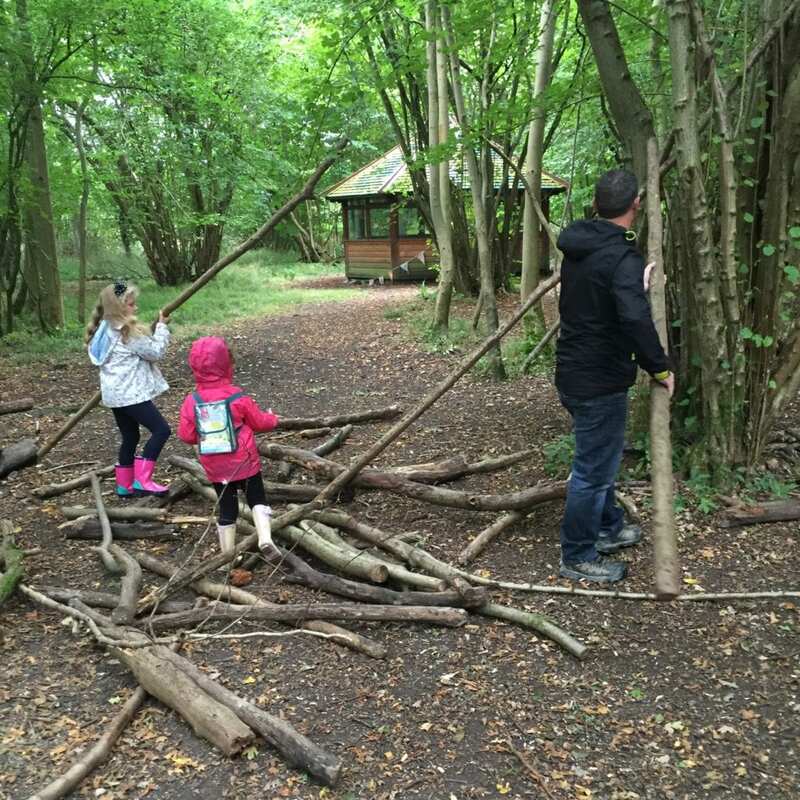 It’s a National Trust forest so it’s well looked after and costs just £6.00 for parking, or free if you are a National Trust member like us. There is enough there to keep the family entertained for hours, so is an absolute bargain. 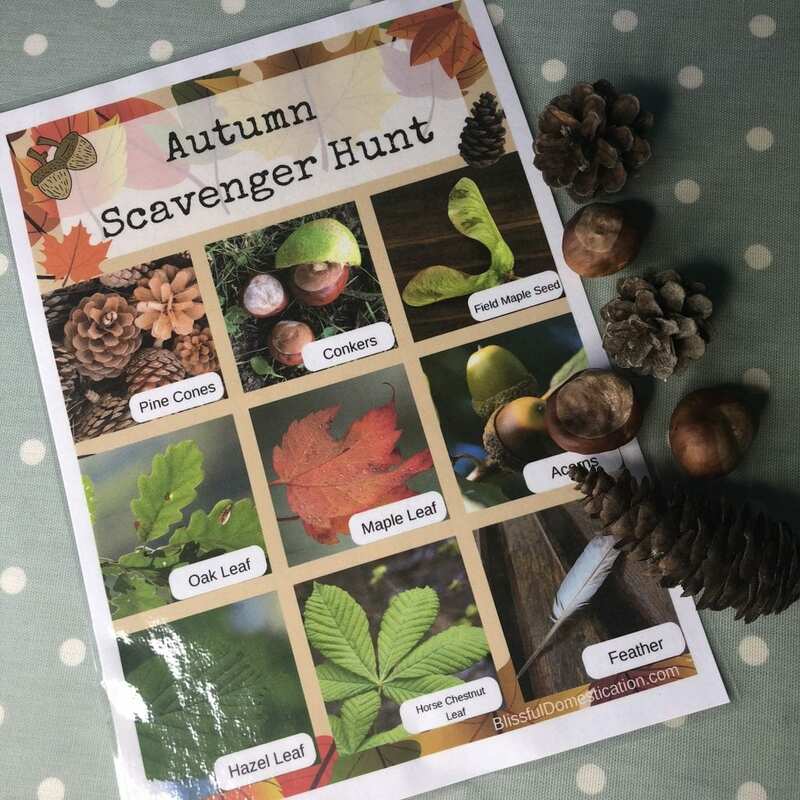 I made our Autumn Scavenger Hunt sheets, printed them off and laminated them for the kids. Armed with this and their Scrunch Buckets we headed off. We started around the lake first, partly because I wanted to get a cuppa from the little shop, but also I knew that’s where most of the Horse Chestnut trees were. 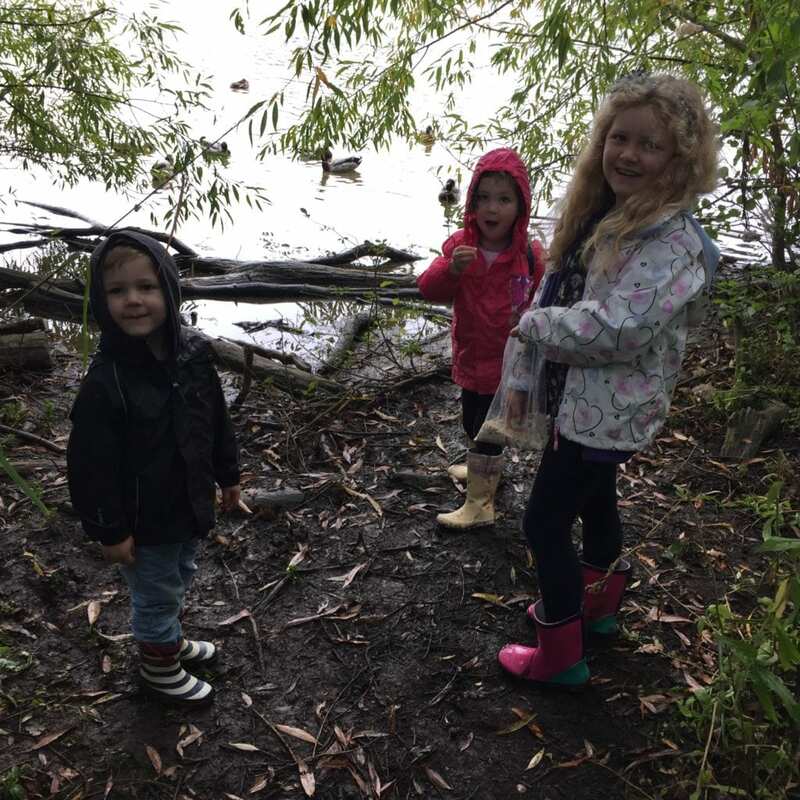 The girls got straight into hunting for treasures, Oliver was more interested in finding sticks, but that didn’t matter they were all enjoying themselves and had the space and freedom to enjoy their surroundings. 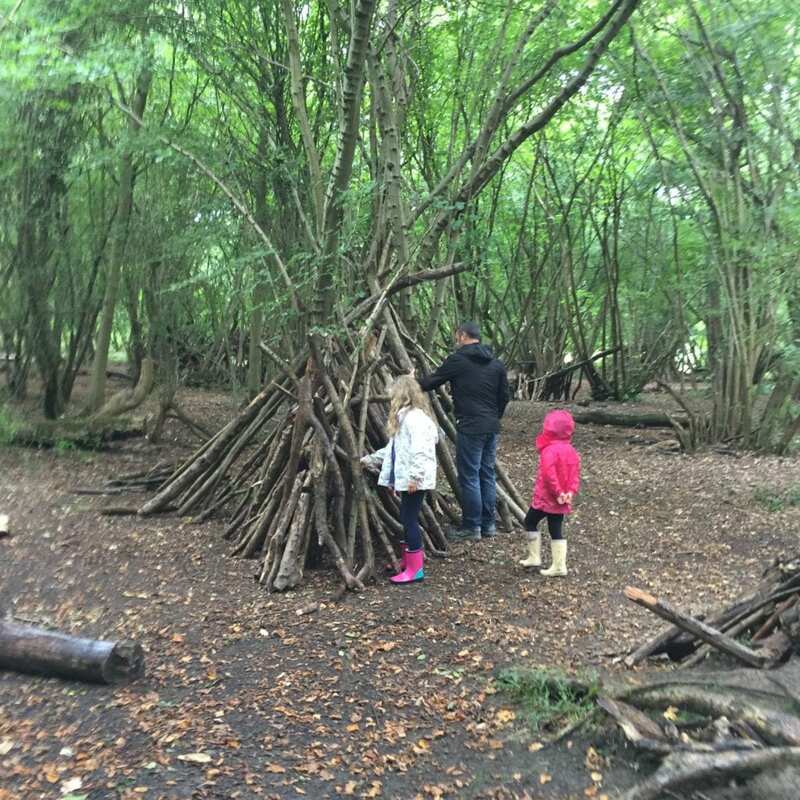 We then went into the forest, and found an area perfect for den building. 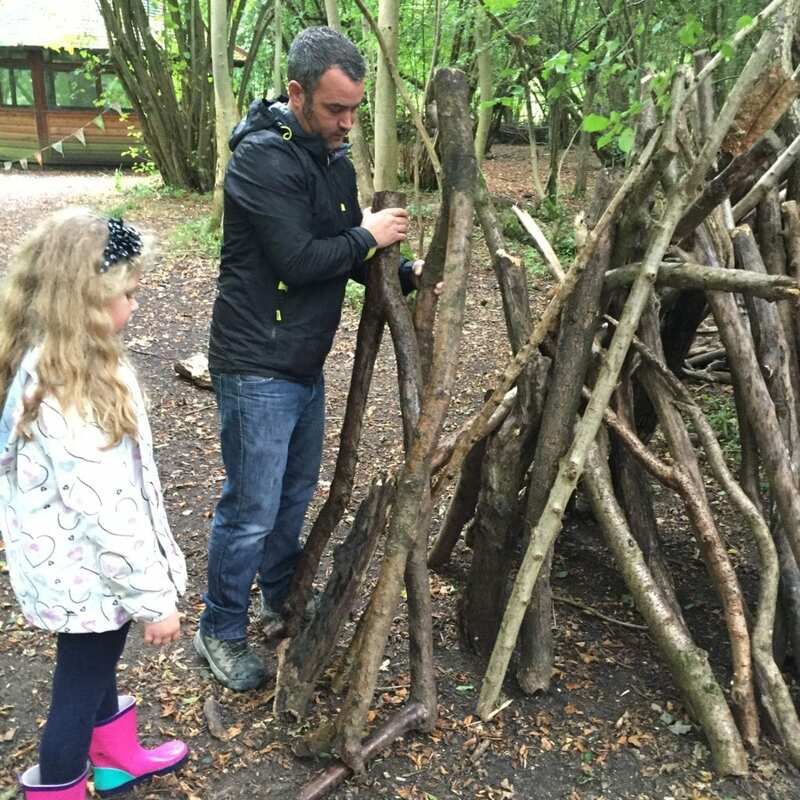 James and the kids set straight to it, and the kids loved collecting logs for the build, but I have a feeling this past time may have been enjoyed more by James! 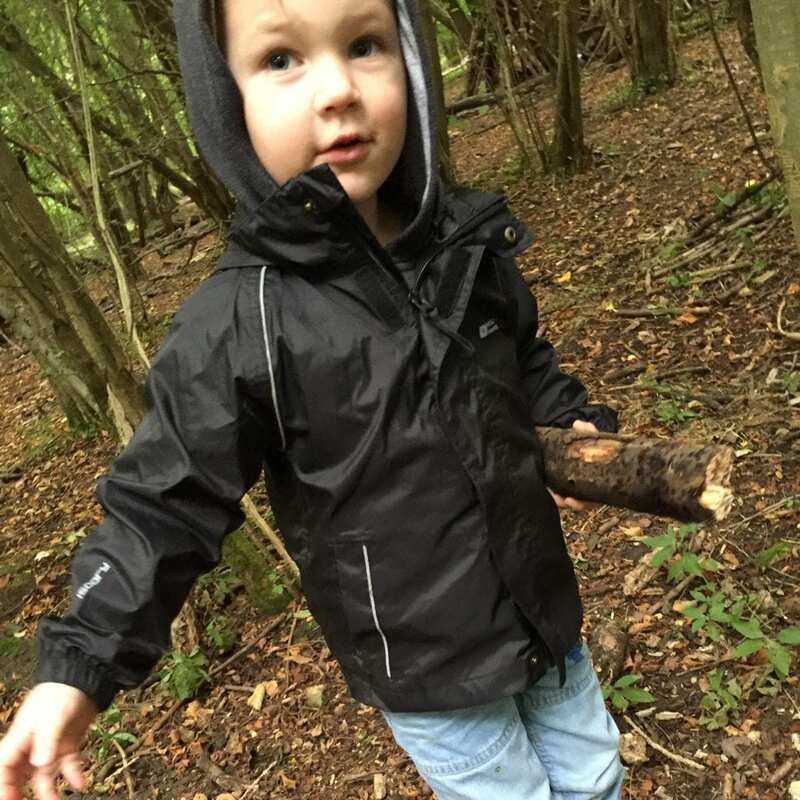 In this area there were also lots of trees to climb, including some horizontal ones, which were much more manageable for Oliver! 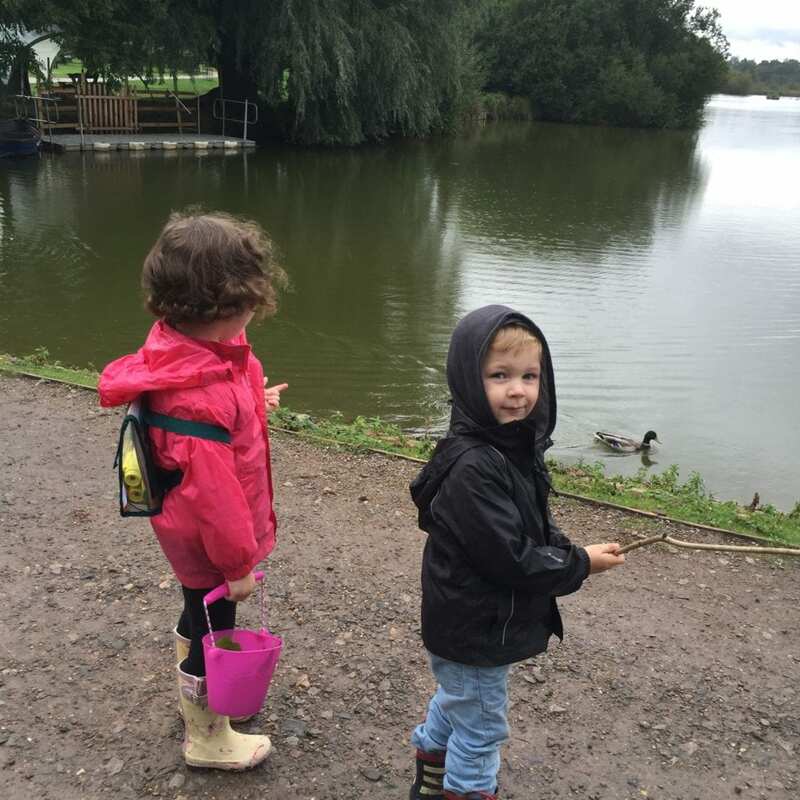 As well as doing our Autumn Scavenger Hunt, we also feed the ducks, and picked and ate wild blackberries! We all had a fantastic day, and the kids loved looking at their treasure haul when we got home. 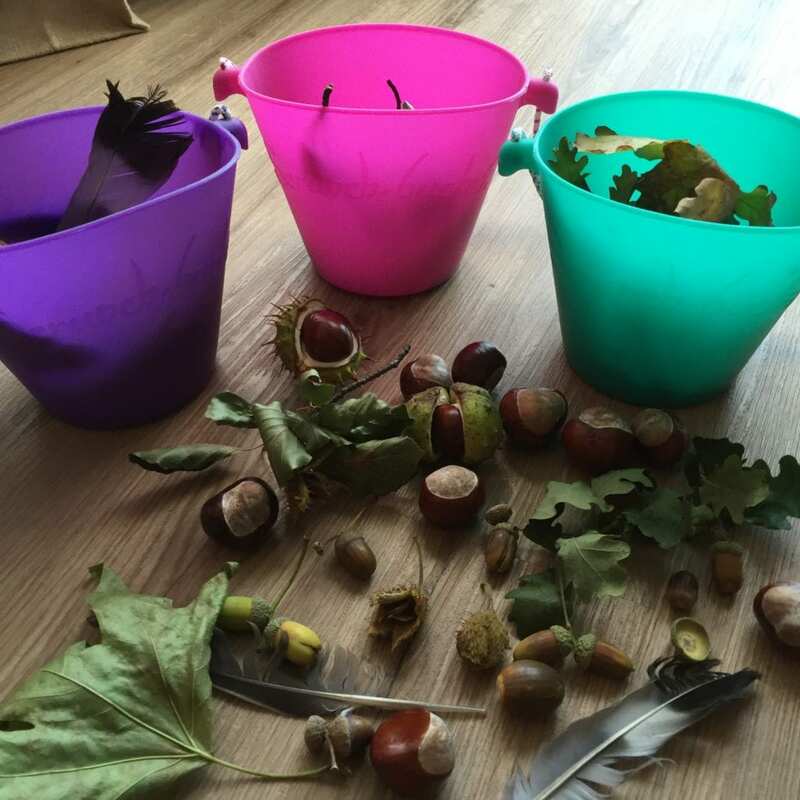 The treasures were put to good use, we decorated a shoe box for Isla’s school project for Harvest festival, and the conkers are destined to go on shoelaces for the kids first experience of playing conkers! We even made some conker and acorn creatures. 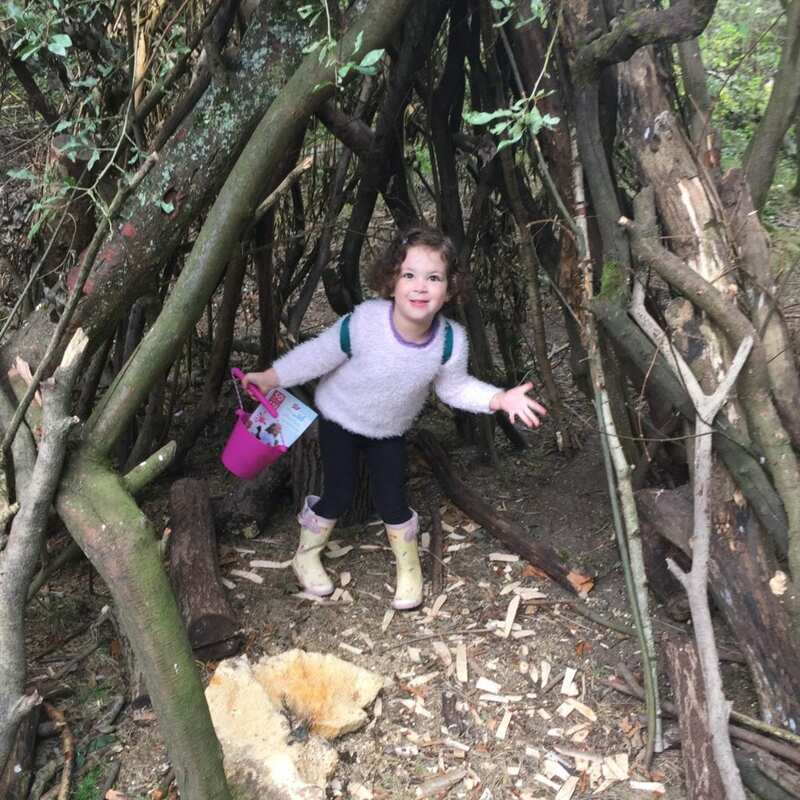 Check out our Nature Inspired Autumn Kids Craft post for some inspiration on what to do with your treasure haul! 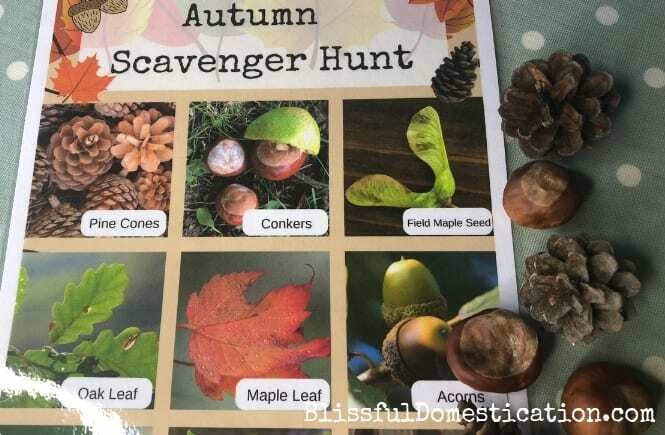 Have you done an Autumn scavenger hunt before? What sort of things did you go hunting for? 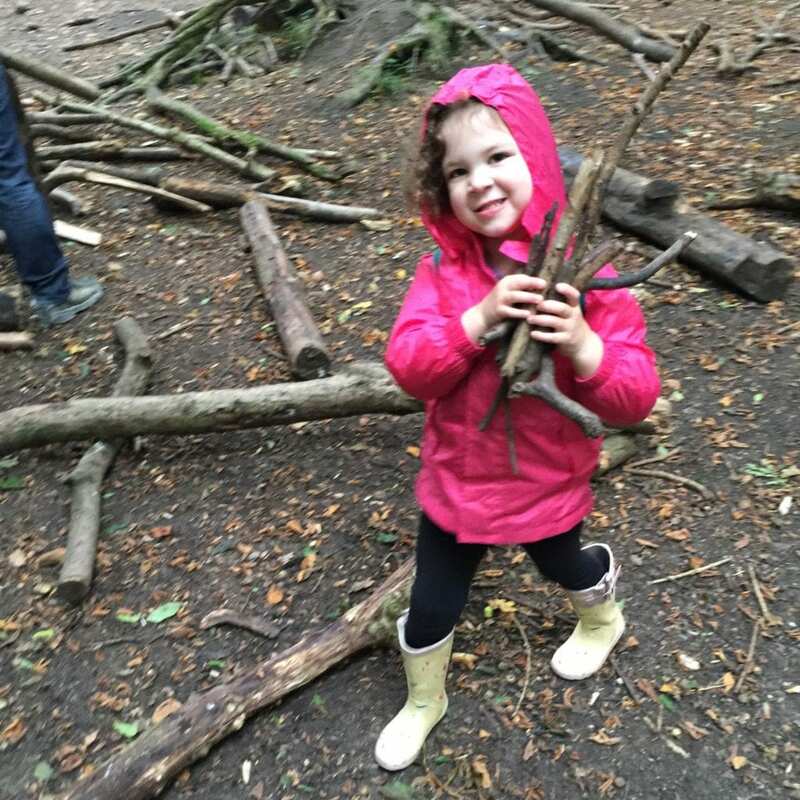 If you need more inspiration of what to do this autumn then check out our post 8 Awesome Outdoor Autumn Activities to do with Kids. Or take a look and follow our Autumn Crafts and Activities board on Pinterest. If you would like to do your own scavenger hunt, I am giving ours as a printable as a FREE gift for signing up to our mailing list. Just pop your e-mail in below to get your copy. Just remember to let me know how it goes! 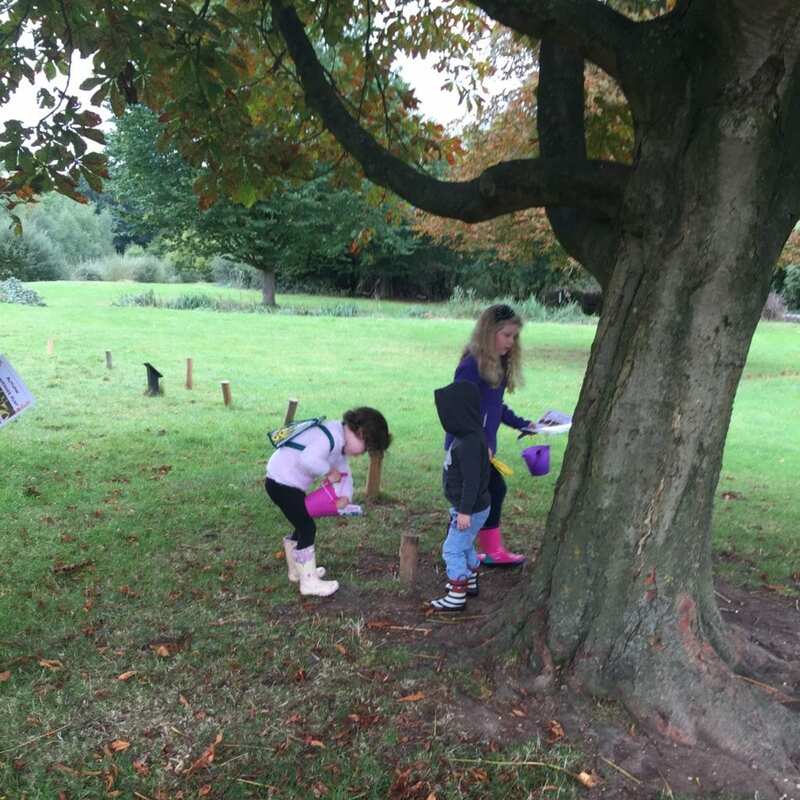 We’ve never been on a scavenger hunt before but it looks like great fun! 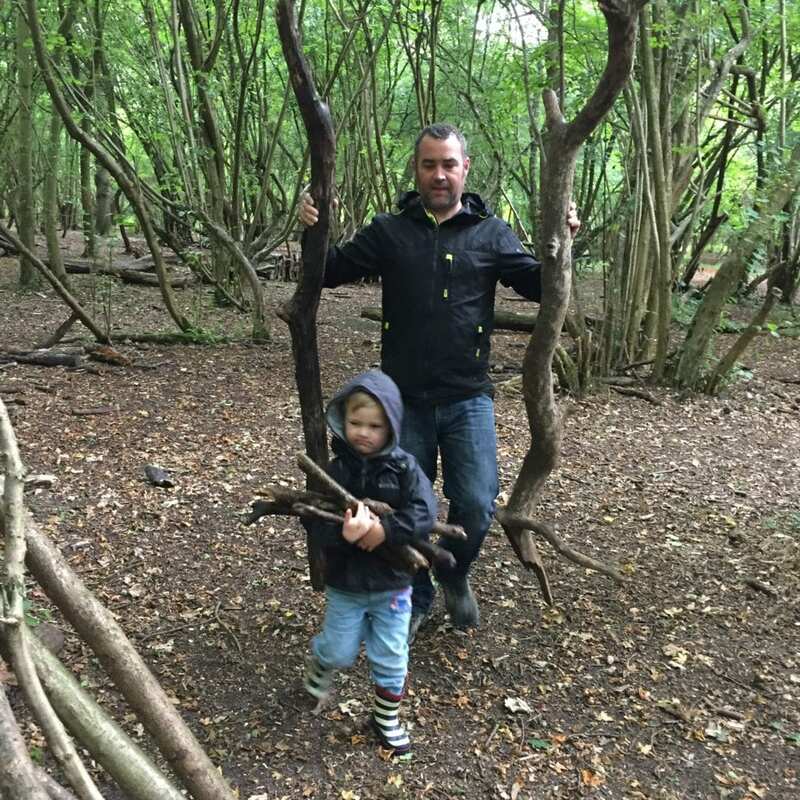 My boys love building dens. 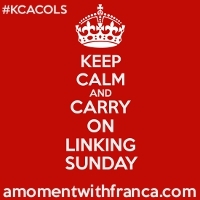 I really enjoyed reading your post. I thought your post was beautifully written. Thanks for all these benefical informations.